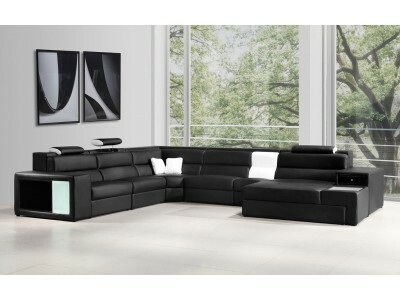 Large four piece Polaris sectional is loaded with features and offers comfort and durability that you can enjoy everyday in your living room. 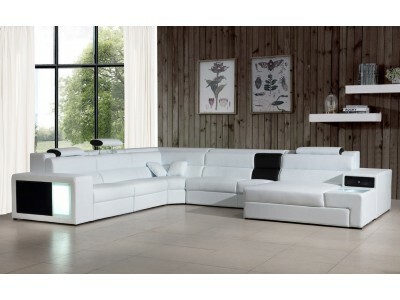 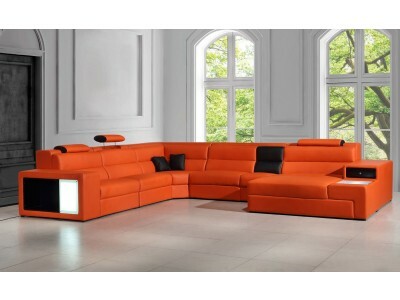 Upholstered in grey leather with just a few off white leather pieces you will find this sectional very functional. 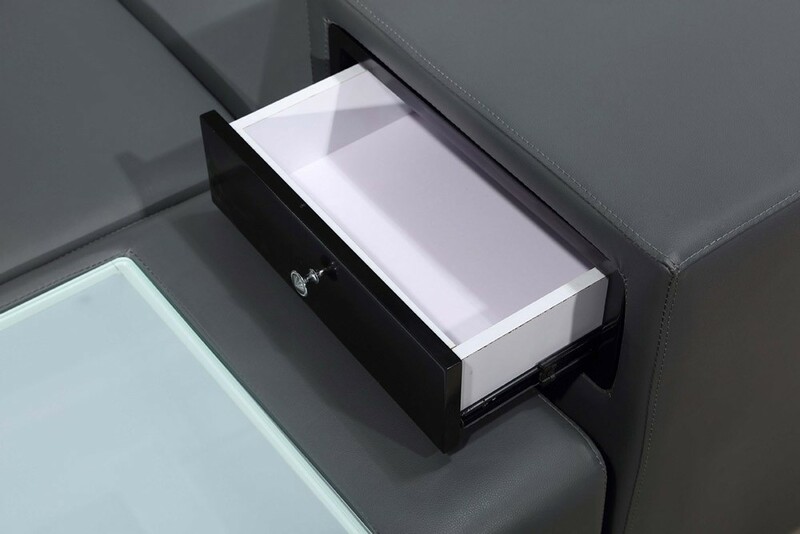 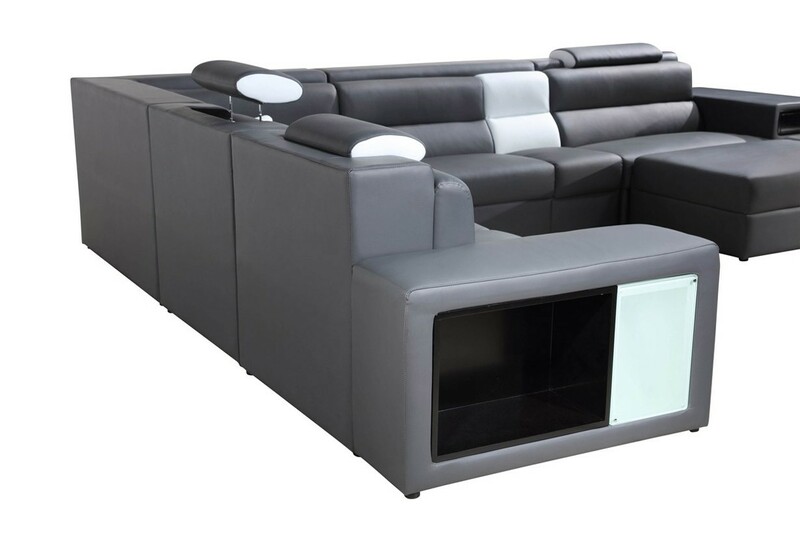 Spacious seating features adjustable headrests, lights on both sides, chase with a drawer and a shelf in the armrest.